In COW on a mission Ben defined how to build a business culture where people thrive. The new book shows those ideas in action! Imagine a place where you do you very best work. Where you enjoy working and are encouraged and built up by your colleagues. Imagine a place where your boss genuinely has your back and wants the best for you. Imagine a place of openness and vulnerability, free from politics and gossip. 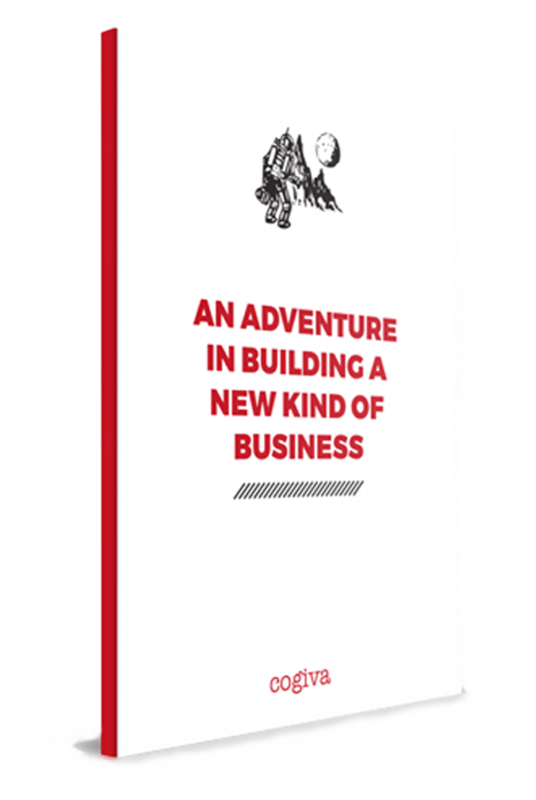 Imagine "Cogiva: An adventure in building a new kind of business! This new book is a company manifesto and explains the culture at Cogiva - the mission, vision and values; the expectations and freedoms - our view of how we intend to do business. It's a book we give to all our new starters and defines what it means to be Cogiva! You can buy a copy from Amazon or download the digital PDF right now!